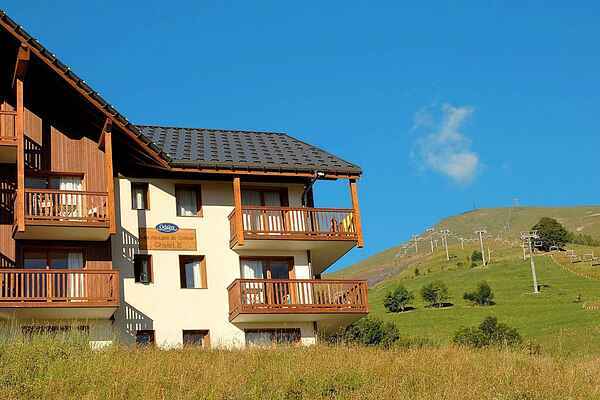 These two-room apartments are in the Les Alpages du Corbier complex. The apartments are suitable for a maximum of four people. There is a double bed or two single beds in the living room. The bedroom features bunk beds or a double bed. The bathroom has a bath or shower. Some apartments have a separate toilet. There are two-room apartments, FR-73300-21, for five people, as well as the four person apartments, FR-73300-20.